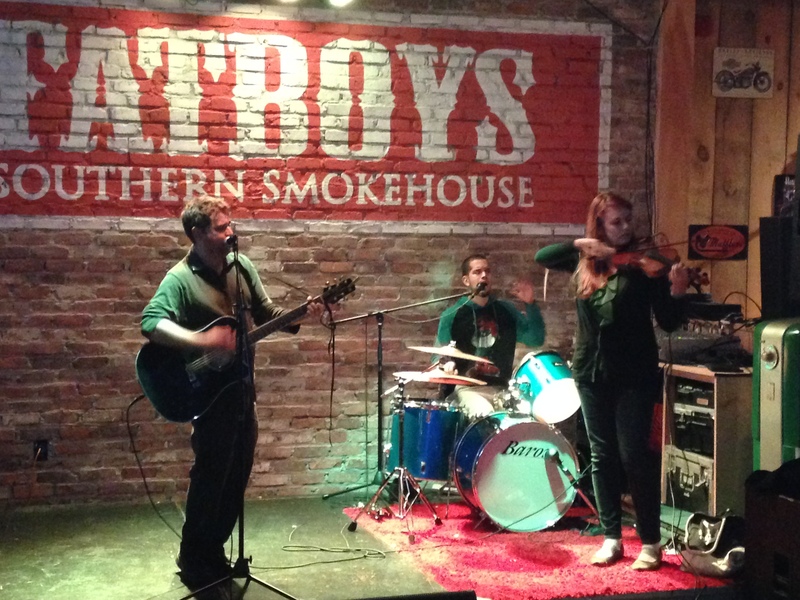 Ok, so I have visited Texas Grill, Italian and now Southern BBQ, here in Ottawa. I was recommended this place from a family friend, living here in our nations capital, so I had to check it out. 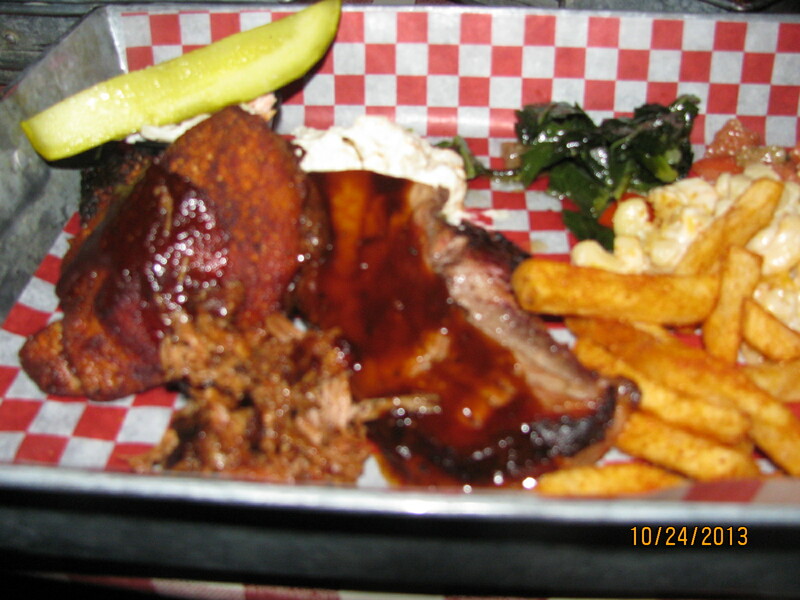 I have only had real bbq a few times, once in South Carolina, and the second in Peterborough Ontario. It is indeed distinctive but tasty; the flavor profile has to be over the top to be considered real barbeque( in my opinion). Fatboys Southern Smokehouse really achieved that, especially as I was tantalized by the aroma as I waited for my friends to join me. 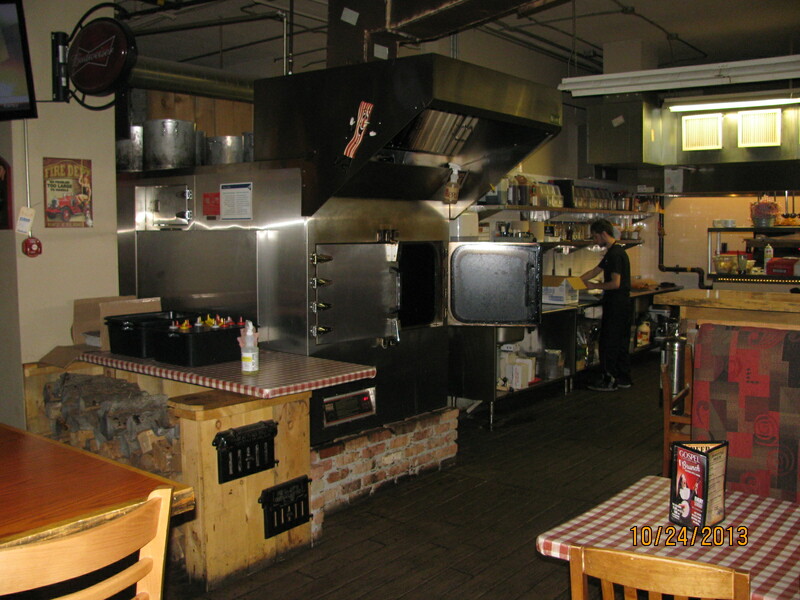 The open concept and the smokers in full view was a treat for me, you could not escape the aroma!!! The open concept and the setting helped set the tone for a wonderful evening of food and music, the attention to detail was even evident even in the washroom with the motorcycle faucets. It was great to see the smokers and open concept kitchen preparing all the food as we enjoyed a beer or two. 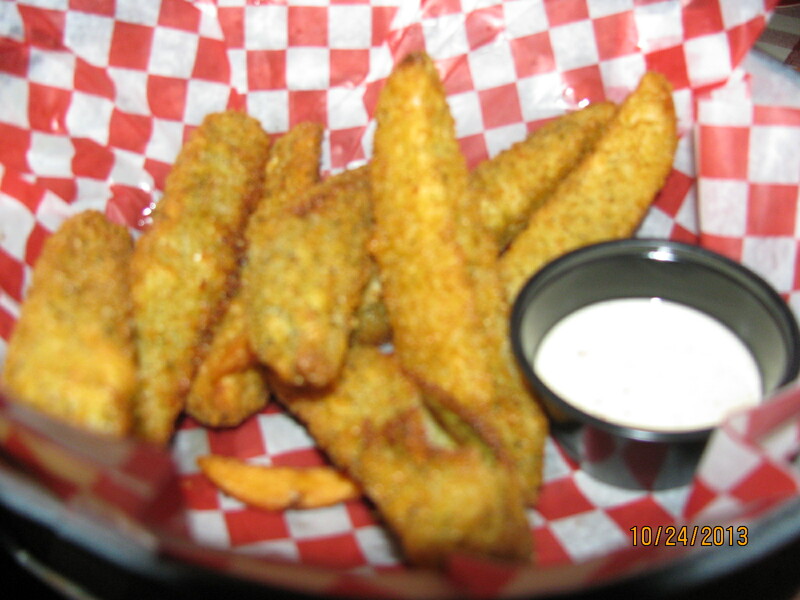 Hunger soon took over for me and I had to order a starter while I waited, so tried the deep the friend pickles, they were nice and crispy and tangy and kept me in check until the others arrived. 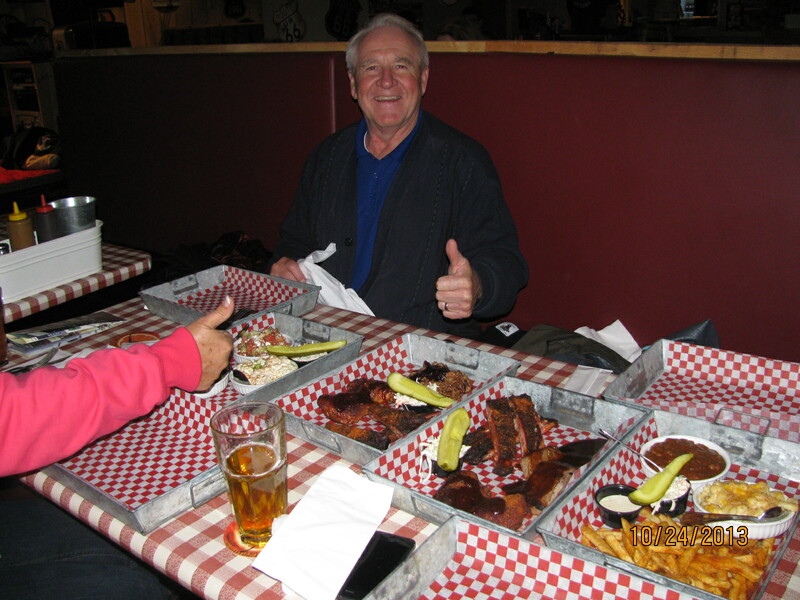 Our time was limited and we all wanted to enjoy all the restaurant had to offer so we ordered the Kentucky Trio 3 ¼ pound portions of meat and sides, we were certainly not disappointed. We selected the brisket, ribs, chicken, pulled pork, collard greens, smoked mac and cheese, and much more, there was plenty for everyone and the flavor was fantastic. My particular favorite was the brisket, it was very tender and juicy and perfectly seasoned, no flavor overwhelmed. The sauce on the table was a nice touch and I did try them all. Just a little bit of everything on my BBQ tray!! Delicious!! We were fortunate to go there in a Thursday evening as it was open mic night, the lead group was very entertaining and to be honest I wished they played all evening. The house band for open mic were amazing!! kudos to the fiddler who kept it all together!! •	I guess the only low point was also a highpoint, I enjoyed most of the Open Mic Night with the exception of the comedian who thought profanity and rambling was going to make us laugh. 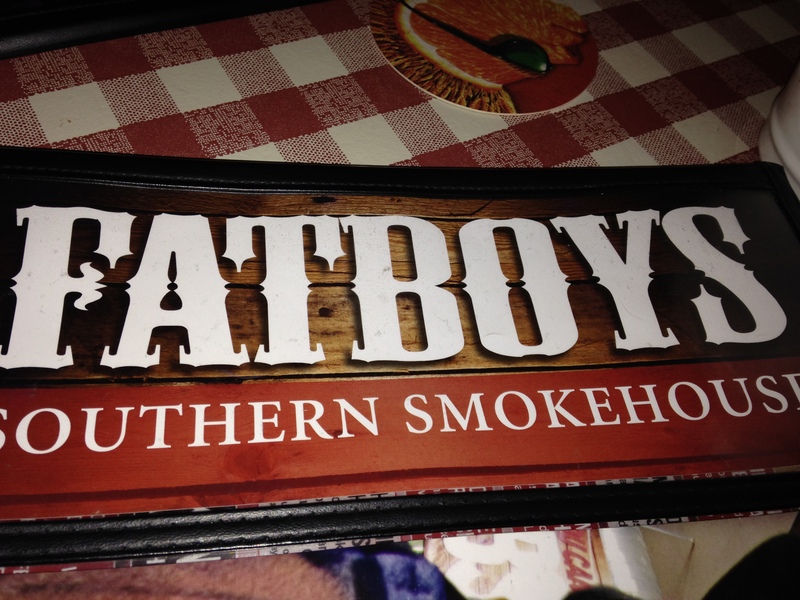 If you really like the taste of BBQ, smoke included, then Fatboys Southern Smokehouse is the place to go in Ottawa. Thanks everyone and thanks to Tracy K for recommending this place. I shall return! !